The crystal ball has a new tint this season . . . or maybe that's just a smudge where the Conference USA logo used to be. I'll be offering a forecast of each week's slate of games in the new American Athletic Conference, the kind of information that can make you sound like an expert in the break room or among your favorite Tweeps. All in the name of fun, of course. Check in every Thursday morning for the wisdom. Among the fundamental goals of any college football program is to improve on the previous season. If the Tigers do so, they'll win (at least) five games this fall, which would give coach Justin Fuente (right) at least nine victories over his first two seasons. Who was the last Memphis coach to win as many as nine games over his first two years on the sideline? Seven Tiger coaches have come and gone since Richard Williamson won 14 games over the 1975 and 1976 seasons. The next highest win total since then for a coach's first two seasons is eight, by Tommy West (2001 and 2002). Mark 'em down, folks. Here are the dates for the Tigers' upcoming schedule in "The American." Among the fundamental goals of any college football program is to improve on the previous season. 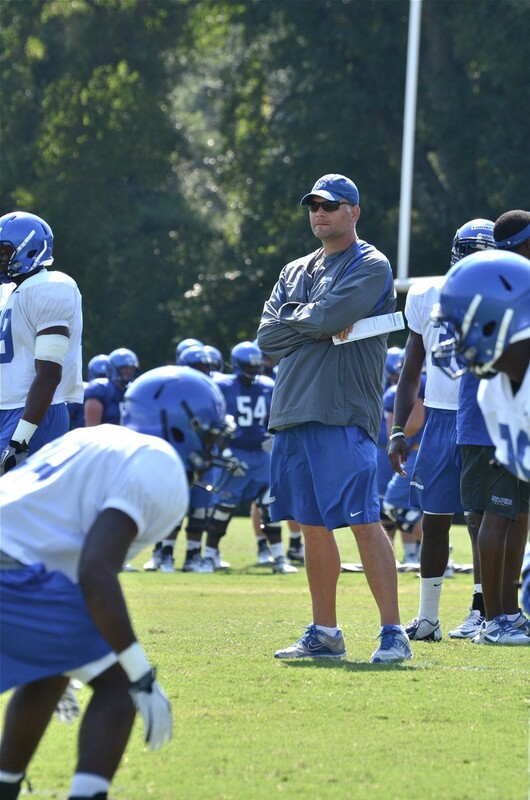 If the Tigers do so, they'll win (at least) five games this fall, which would give coach Justin Fuente (at least) nine victories over his first two seasons. Five members of the 2013 Tiger football team started all twelve games a year ago: Jacob Karam (QB), Al Bond (OL), Charles Harris (LB), Anthony Brown (LB), and Bobby McCain (CB). Among active Tigers, who has the most career starts? McCain has 21 starts to his credit, followed by Bond and safety Lonnie Ballentine with 19 each. 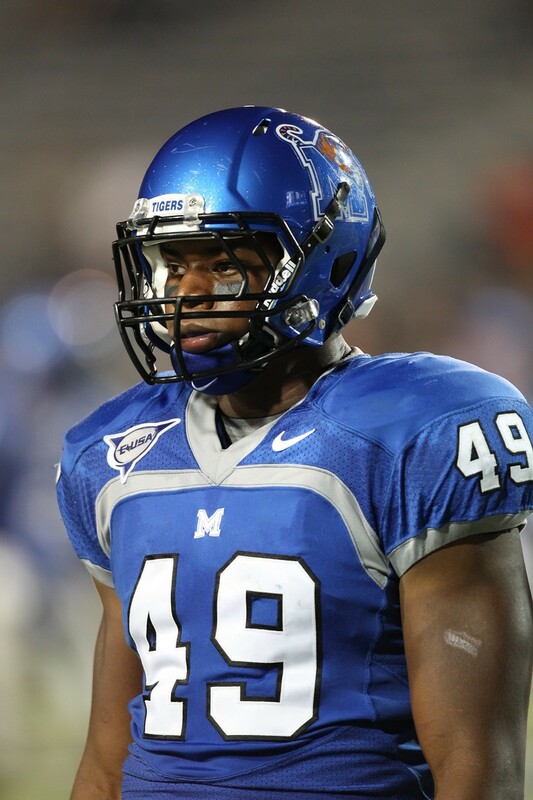 The University of Memphis football team reports to training camp this week, its first gathering as a member of the new American Athletic Conference. Which has me wondering . . .
• Jacob Karam can melt hearts. Can he shred a secondary? The senior quarterback started all 12 games a year ago and, after his heart-squeezing piano performance last month at St. Jude, is surely the easiest Tiger to cheer. He tossed 14 touchdown passes last season and only three interceptions in 274 attempts. So he’ll be the face of the Memphis offense, right? • What do the experts know? In the AAC media poll released last week, the Tigers received 47 voter points, dead last among the league’s ten teams. (Louisville is the prohibitive favorite to win the conference title. The Cardinals received 28 of 30 first-place votes, the other two going to Cincinnati.) Considering none of the four teams Memphis beat last season appear on this year’s schedule, why would voters think any better of the Tigers’ chances this fall? 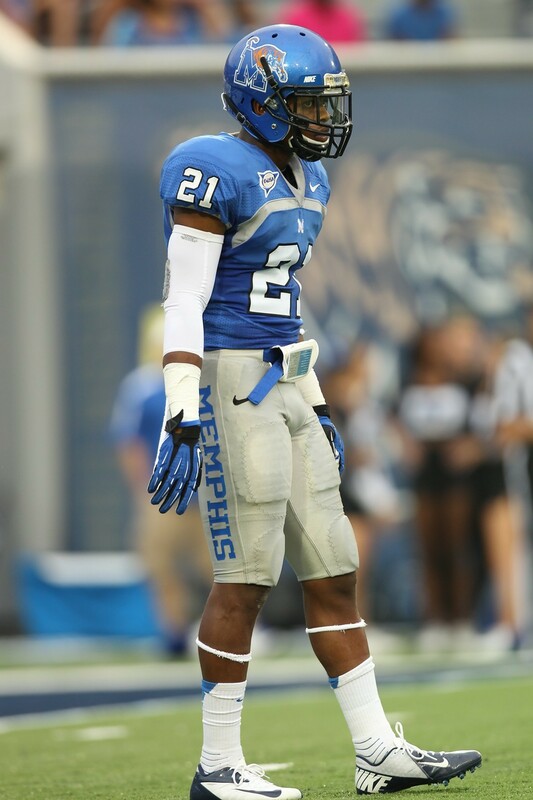 The Tigers open their season September 7th at the Liberty Bowl against Duke. 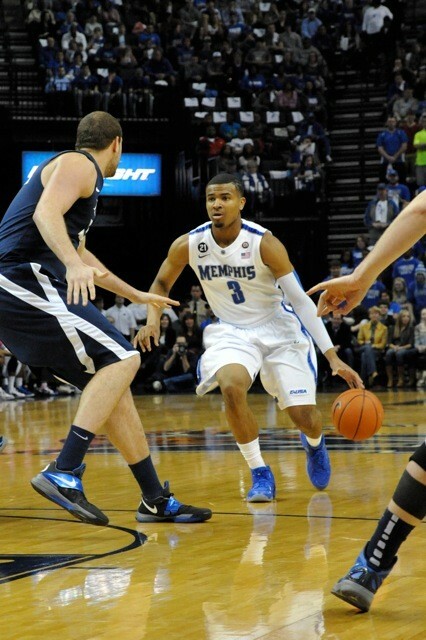 Memphis guard Chris Crawford will enter his senior season with 166 career three-pointers and 172 career steals. If Crawford matches his totals from last season in each category (71 treys and 54 steals), where will he rank in Tiger history on these two charts? With 237 three-pointers, Crawford would climb to fourth in Tiger history, behind Rodney Carney (287), Anthony Rice (242), and Doneal Mack (239). And with 226 steals, the pride of Sheffield High School would also rank fourth, behind Chris Garner (321), Elliot Perry (304), and Andre Turner (272).